While best known for superior heavy-duty safety products, Brazos Manufacturing is at it’s heart a custom solutions provider of well-designed products such as loading ramps and dock boards. 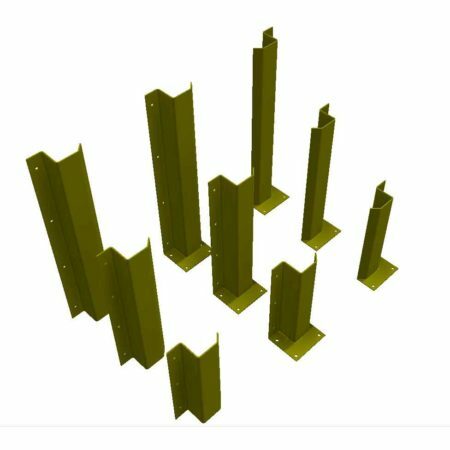 We have the facilities and the equipment, including support equipment to fabricate from heavy material with large profiles. We have the engineering and production staff to assure that the manufacturing process is cost effective and on time. If your needs call for a single piece or continuing production of heavy parts. We can do that. 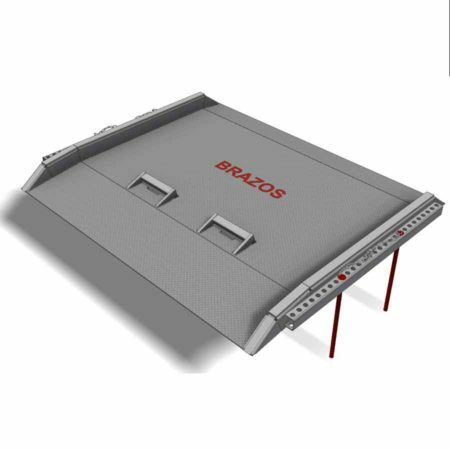 In addition to our work in the solar industry, Brazos is a manufacturer of dock and warehouse products. 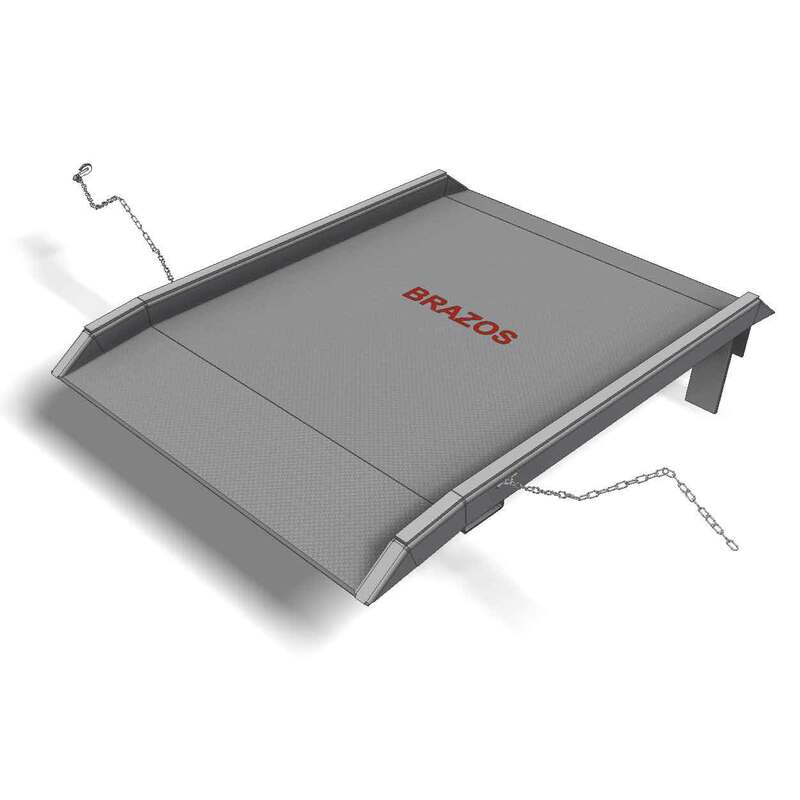 Material handling equipment has long been a key component in the work lives of “The Brazos Bunch”. Steel dockboards ranging in capacity from 15,000 lbs to 60,000 lbs and up are quickly engineered, built and delivered to companies all over the United States. An American company selling to American companies. 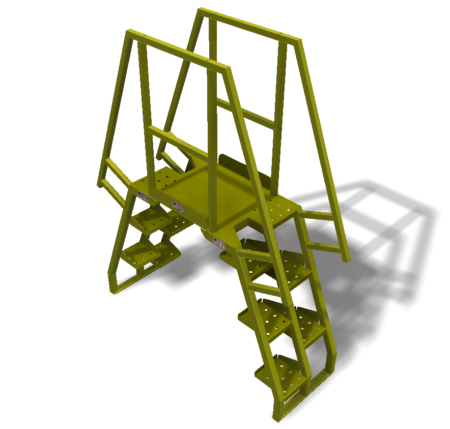 Forklift loading ramps engineered to not only carry the load specified but do it for a long time….safely. Capacities from 16,000 lbs to 150,000 lbs are available and can be customized in a number of ways. Some of which include; power retraction and extension of front legs, path lighting for when the work extends past sundown, handrail or other superstructure to make the ramp work for you. No matter if you call them dock ramps, truck ramps or truck trailer ramps for safety sake call Brazos. 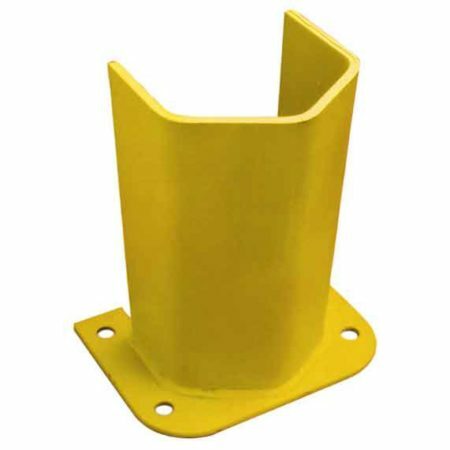 Bollards & other safety equipment to protect people, equipment and facilities are available in all standard sizes and can be customized as you require. It all starts with a call to our customer service team.